During the March 3rd episode of Up with Chris Hayes, the host and his guests had a discussion about ideological media in general and conservative media specifically. 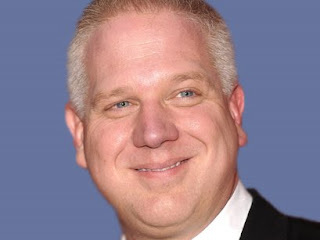 Although Beck was not mentioned during this exchange and examination of conservative media, a number of statements made apply to the Glenn Beck project. Hayes asserted here that "You don't want to say wrong things or be a simple, unthinking propagandist who disseminates false information." Although Beck is not "simple" or "unthinking," reactionary propaganda is exactly what Glenn Beck and his Blaze TV is about. The concern with Beck's project is not that he's just offering his biased slant on news and current events. He disseminates false information. That is well established here even though it is impossible to get it through to his followers who seem addicted to Beck's fantasy-based and often absurd assertions and blinded to the truth by their love for him. This discussion continued after a commercial break. Again, via MSNBC is the remainder of this discussion about conservative media. Clearly, Beck's paranoia-based style conveys a bunker mentality. It will be interesting to see how Beck's media empire changes its tone and style if Republicans can get out from under the tea party's thumb sufficiently to elect someone, who is acceptable to most voters, to the White House. What Josh Barrow from Bloomberg View said at the end about the Benghazi criticisms not getting though to the general electorate cuts to the division of the media in the U.S. So long as Beck is marginalized within the right-wing echo chamber, his influence will most likely remain contained to the far-right that funds his growing media empire.